Clear skies. Low near 50F. WNW winds shifting to ESE at 10 to 15 mph..
Clear skies. Low near 50F. WNW winds shifting to ESE at 10 to 15 mph. Hikers with Rep. Salud Carbajal follow the Fremont Ridge Trail toward a vista of Cachuma Lake and its watershed on Saturday after the congressman announced legislation to protect nearly 250,000 acres of Central Coast public lands. Pastor Carl Nielsen, of Bethel Lutheran Church, left, Hannah Sullivan, representative from state Sen. Hannah-Beth Jackson's office, and John Fowler and Ken Trigueiro, of Peoples’ Self-Help Housing, pose for a picture on the site of the affordable senior housing project in Santa Maria. Righetti sophomore Rayann Booker runs a time of 11.85 seconds to win the 100 meters in a dual meet against Arroyo Grande's at the Warriors' track on Wednesday. Volunteers in bright orange vests spanned the Central Coast on Wednesday, selling over 14,000 special edition copies of the Santa Maria Times, Lompoc Record and Santa Ynez Valley News in an effort to raise funds for cancer patients in the community. As promised on a hike Saturday from East Camino Cielo, Rep. Salud Carbajal on Wednesday joined Sen. Kamala Harris to reintroduce the Central Coast Heritage Protection Act to designate nearly a quarter of a million acres as wilderness. HR 2199 would designate four new wilderness areas in the Carrizo Plain National Monument, expand nine existing wilderness areas in Los Padres National Forest, protect Condor Ridge and Black Mountain as new scenic areas and designate the Condor Trail as a national recreation trail within Los Padres National Forest. A wilderness designation is the highest form of protection the federal government can provide for a public land, prohibiting roads, vehicles, permanent structures, logging and mining. Carbajal said the bill will help to sustain the ecological future of 468 species of wildlife and more than 1,200 plant species and is supported by nearly 500 Central Coast landowners, business owners, elected officials, farmers, ranchers, civic leaders, winery owners, recreationalists and outfitters. Reps. Julia Brownley, D-Thousand Oaks, Katie Hill, D-Agua Dulce, and Jimmy Panetta, D-Carmel Valley, who all represent portions of Los Padres National Forest, joined Carbajal, D-Santa Barbara, as co-sponsors in the House. As part of Kermit McKenzie Intermediate School's annual career day, Schmitz and firefighter Alice Saucedo spoke to curious students on Wednesday morning about their safety equipment (some configurations weigh more than 100 pounds), the ladders they use to climb roofs and scale buildings (some are as tall as 100 feet) and the hydraulic rescue tool capable of ripping doors off cars. "Every student is either going to go to college or have a career in their life," explained career day coordinator Robin Ilac, "so we're really showing them that there are lots of different opportunities and careers in our community." A $9 million, 40-unit affordable senior housing project broke ground Wednesday on 2.5 acres at the corner of Sierra Madre and South East avenues in Santa Maria. Sierra Madre has been in development for over 10 years and is slated to provide housing for roughly 60 people, said John Fowler, Peoples’ Self-Help Housing president and CEO. In addition to the usual income restrictions of affordable housing, it will also be limited to seniors ages 62 and older. An Orcutt school was briefly locked down Tuesday morning when a suspect in a stolen car led sheriff’s deputies on a short chase in the vehicle and on a bicycle before being apprehended, said a Santa Barbara County Sheriff’s Office spokeswoman. 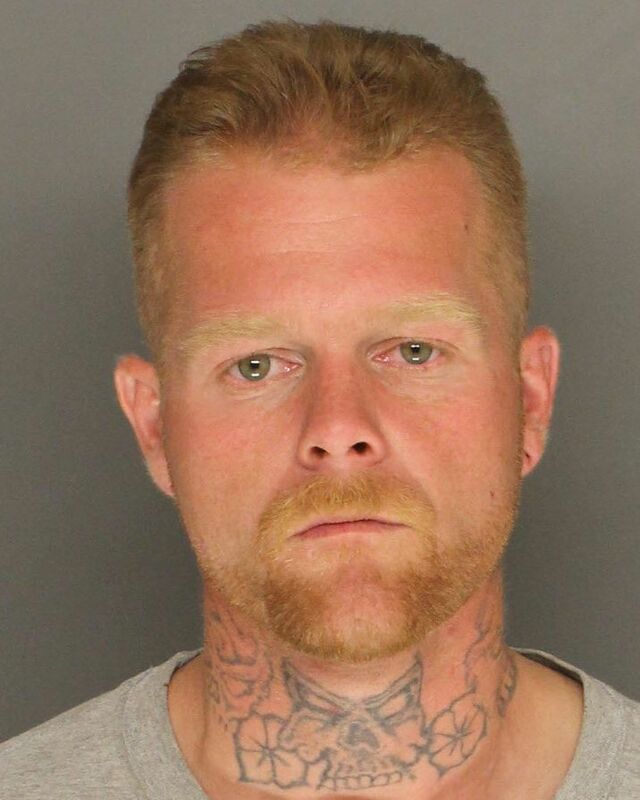 Deputies stopped a stolen vehicle about 9 a.m. in the 5000 block of Orcutt Road and discovered an arrest warrant had been issued for the driver, 28-year-old Santa Maria resident Tyler Phillips, who fled in the stolen car, said sheriff’s spokeswoman Kelly Hoover. While searching the area for Phillips, deputies were told by a nearby resident that Phillips had abandoned the vehicle and fled on a bicycle. A sheriff’s school resource deputy later located Phillips riding the bike on Orcutt Road just a few blocks from Lakeview Junior High, where he continued to flee from deputies, Hoover said. Santa Maria Police cited three people Tuesday during two operations targeting people that purchase alcohol for minors. During the “shoulder tap” operation, a decoy under the age of 21 attempts to get people to purchase alcohol from stores that are licensed to sell alcohol for consumption off the premises. On Tuesday, Santa Maria Police contacted three individuals at two different establishments and cited two people who agreed to buy the minor alcohol, a department spokesman said. Both were cited for furnishing alcohol to a minor. Righetti High School sophomore Rayann Booker found out her time for the girls varsity 100 meters Wednesday then bounded up and down and yelled. The reason Booker was so happy was that she had clocked a winning 11.85 seconds. Booker popped that time in her team's dual meet against Arroyo Grande at Righetti. "As far as I know, that's the best time in the CIF Central Section so far," said Righetti coach Mike Pope. Though Booker had a considerable tail wind behind her, the wind was under the allowable limit to be entered as a Central Section mark, though it was over the allowable limit to be considered for a school, or meet, record. "My goal was to go under 12.0," said Booker. "My best had been a 12.05. Sutton Tompkins homered twice, and the Warriors (12-4, 6-1) beat the Eagles in a Mountain League game at Righetti. The game was called after five innings because of the 10-run rule. Michael Tackett plated Aiden Anderson in the bottom of the seventh inning at St. Joseph with the winning run on a walk-off squeeze bunt, and the Knights (3-6 Mountain League) knocked the Tigers out of a share of first place. Morning fog, then mostly cloudy and windy this afternoon. High 67F. Winds WNW at 25 to 35 mph. Winds could occasionally gust over 40 mph. Mostly clear and windy. Low 47F. NW winds at 20 to 30 mph, decreasing to 5 to 10 mph. Sunny. Becoming windy late. High 67F. Winds NW at 20 to 30 mph.